Many of you realize the importance of exercise for all of us, not just those with Parkinson’s. But it’s perhaps more important for people with Parkinson’s because of the benefits not only for body but for mind. More than one study has shown that exercise has huge benefits for Parkinson’s patients. And it can really be fun! The January meeting including a presentation from the local Rock Steady gym staff. Rock Steady Boxing classes are offered locally at Crossfit Overwatch Gym, 1990 Olivera Road, Suite D, Concord, CA, (925) 785-1272. Go to smile.amazon.com from the web browser on your computer or mobile device and log in using your existing Amazon account (or create an account if you don’t already have one). Then just make your purchases and the donations generated will automatically be sent directly to PNMD. Remember to shop on the smile.amazon.com site in the future, as donations are not generated on the regular amazon.com site. With the holiday shopping season upon us, now is a great time to start using smile.amazon.com ! Tell your family and friends too! Thanks in advance for your AmazonSmile donations! 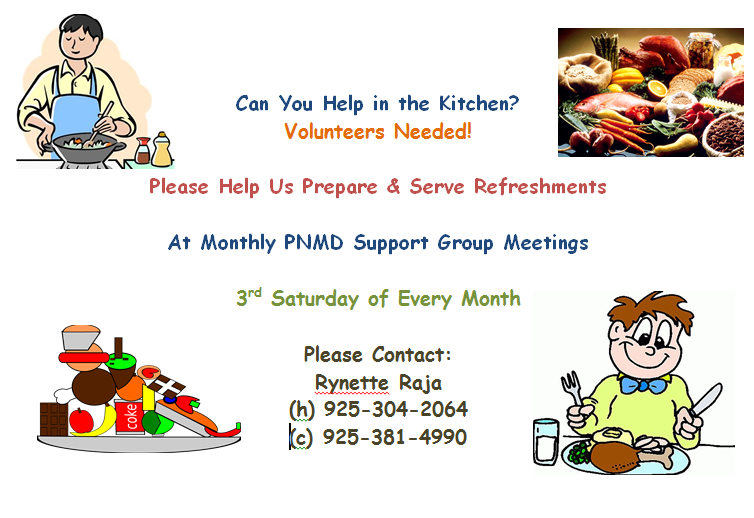 If you have any questions, contact PNMD’s treasurer, Amy Van Voorhis, at pnmdtreas@astound.net. 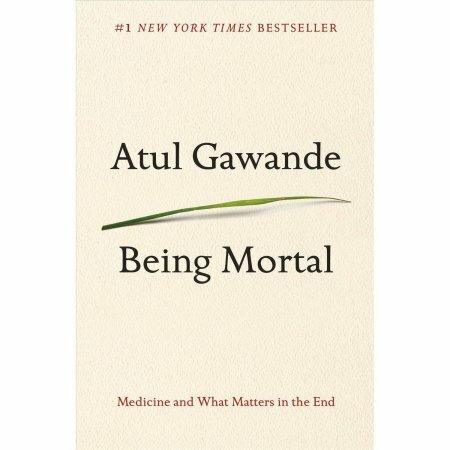 In Being Mortal, bestselling author Atul Gawande tackles the hardest ch allenge of his profession: how medicine can not only improve life but also the process of its ending. Carol developed the first typical symptoms of Parkinson’s disease in 2011, but the diagnosis was soon changed to Lewy Body Dementia (LBD). The first physical symptoms were quickly followed by hallucinations, which at first were benign, but quickly became quite scary. While caring for Carol, Bob slowly, painfully learned how to cope with her physical as well as mental symptoms. 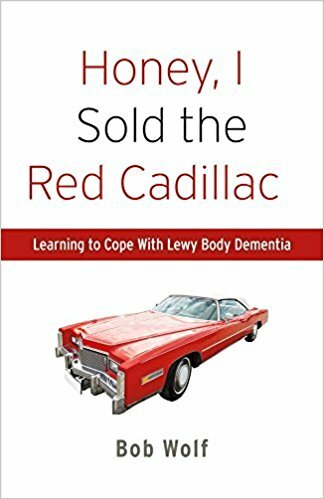 This book describes those lessons in the hope that others caring for LBD patients will benefit from them, and their path down this road will be easier. This poem was written by one of our own, Carol Peplinski. Enjoy! You rob me of my rhythm, I still dance. You rob me of my sense of smell, I still appreciate the roses. You rob me of my ability to hold a pen, I still write. You rob me of my happiness, I still smile. You rob me of my brain cells, I still think. Parkinson’s, you are a Robber Baron, but I am still the keeper of this beautiful body. a PD survivor since 2008. Here’s a new book in the library that you can find at this month’s meeting. Abraham is always looking for new and interesting books and publications related to Parkinson’s disease, research and treatment. He has a number of titles available, some of which are free and you can keep. Others are available for check out. Stop in to see what else is new and say hello. s soon returned. He does not claim to be cured, but he is able to lead a normal life today. His positive attitude and determination to stay ahead of this terrifying condition highlight a new approach to dealing with Pd. John’s story is a portrayal of courage, showing the power of focusing on and being committed to one’s beliefs. One can greatly admire his determination and self-motivation, as seen in his conscious efforts to correct and adjust his movements, which in itself is no small achievement. His positive attitude has been further enhanced by the warm and encouraging support of his wife, Shirley, and family. This close family relationship has been a positive factor in helping John cope with his disability.” –Publisher description. Bill Clinch wrote about his time at the Michael J. Fox forum in Washington, D.C. Check it out in the posts along the right side of the page. We have a new book in the library that you may be interested in. Please see the description below as it is the second edition and there have been some updates from the first edition. You can find this book at the next meeting on the library table. The Second Edition also contains new information about the genetic and hereditary pattern of the disease; the effects of fluctuating hormones on disease symptoms; and other cutting-edge research. Good news! The Parkinson’s Network of Mount Diablo now takes membership dues and donations via credit card and PayPal on the website. You can become a member, renew a membership or make a donation online easier than ever before. See our new Join or Renew page by clicking this link. See the new Donate! page with this link.